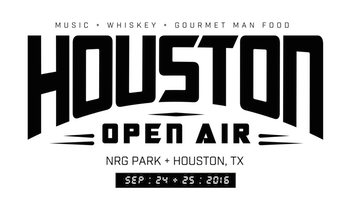 Festival producers Danny Wimmer Presents were reluctantly forced to cancel the second day of the Houston Open Air festival at NRG Park in Houston this Sunday, September 25 due to dangerous storm systems in the area. An announcement will be made on the Houston Open Air website and social media this Wednesday, September 28 regarding refunds for those who purchased September 25 Houston Open Air tickets. On the advice of Weather Decision Technologies, some of the top meteorologists in the country, Danny Wimmer Presents canceled the Sunday event soon after the show began. Festival producer Danny Wimmer said, "The last thing we want to do is cancel a show, but we will not risk people getting hurt. It takes nearly an hour to safely evacuate a site—including consumers, staff, vendors, and artists—so they can get to safety before a major storm hits. So we have to make the evacuation decision more than an hour in advance, even if there is still a chance the storm might not hit." He continues, "I read all the comments on our social media, and I understand the frustrations that some people felt, but our job is to protect everyone. I don't make the decision lightly, but I would make the same decision again. We were seeing signs of storm cells expected to be heavy until 7:00 PM, followed by another storm from the Gulf. We drill for these situations. When the decision was made to evacuate, everyone executed perfectly. "We've been through this kind of experience twice before—at Monster Energy Welcome To Rockville 2015 (when a tornado hit near the site) and Monster Energy Carolina Rebellion 2013—and are always committed to keeping people safe." "The elements prevented us from giving Houston the rock show it deserves, but with the support of community, we will come back bigger and better. We are committed to and are passionate about the rock community and the city of Houston." The organizers of Houston Open Air want to thank all the fans, bands, vendors, sponsors, media, Houston Police and Fire, as well as the CSC, SMG, NRG, and Event Safety Alliance teams for cooperating throughout the evacuation and clearing the venue without incident. Houston Open Air would also like to thank radio partner KTBZ "The Buzz," as well as Ruben Dominguez with Fox 26 and Craig Hlavaty with Newsfix and the Houston Chronicle, for their help in keeping people safe by messaging festival attendees via their social media channels during the weekend. Danny Wimmer Presents CEO Danny Hayes said, "We spent hundreds of hours planning every aspect of Houston Open Air, but you can't plan the weather, you can only have a plan to respond to it. I am proud of our team for making the difficult decision and then flawlessly executing our evacuation plan. In these situations, the only report I want to hear is that 'no one was hurt.' We've all heard about dangerous lightning and wind incidents at other music festivals around the world, and even saw an NFL game delayed due to lightning on Sunday, so it's clear that weather issues need to be taken seriously." Houston Open Air was scheduled to feature a lineup of over 35 bands on three stages, led by rock heavyweights Avenged Sevenfold and Alice In Chains, along with Deftones, Chevelle, Slayer and many more. In addition, Houston Open Air included Jack Daniel's Old No. 7 Whiskey Row, and a Texas-sized Gourmet Man Food experience, highlighting Houston's emergence as a great American food city — including the Tacolandia Mexican food village, with some of Houston's top Tex-Mex spots, presented by the Houston Press and Tabasco. Over 25,000 people were in attendance over the two-day weekend. Houston Open Air sponsors include: Monster Energy, Bud Light, Jack Daniel's, El Jimador, Fxck Cancer's Dyin2Live, NRG Park and SoHo Concessions, and more. NRG Park is the premier and most-versatile tradeshow, consumer show, convention and sports and entertainment complex in Harris County, specifically near the cultural center and urban hub of Houston, Texas. The 350-acre complex with 26,000 parking spaces is uniquely comprised of four facilities: NRG Center, NRG Arena, NRG Stadium and NRG Astrodome where adaptability, hospitality and distinct service all meet to provide a world-class experience. The uniqueness of NRG Park is apparent in the flexibility of its facilities, each offering the opportunity to host large exhibitions, concerts, sporting events, conventions and meetings. NRG Stadium is home to both the Houston Texans and the world-famous Houston Livestock Show and Rodeo. NRG Center offers 1.4 million square feet of exhibit and meeting space, as well as, being fully wired to accommodate networking needs of our clients. NRG Arena's versatile seating configurations and adjacent exhibit space comfortably accommodate mid-scale events. And then there's NRG Astrodome, an iconic structure that served many sports and entertainment performances for nearly forty years. At NRG Park, education, entertainment, trade, commerce and competition all come together in one vibrant and energizing environment. Couple this with our professional staff dedicated to achieving the highest levels of customer and guest satisfaction and you'll clearly understand why NRG Park is a leader in the event industry.